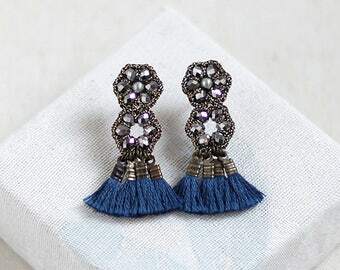 Blue Tassel Earrings. 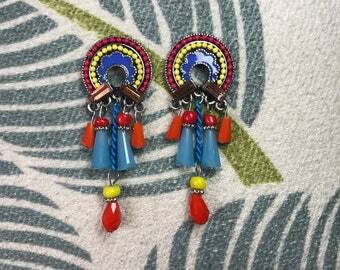 Beaded Tassel Earrings. Long Earrings. Fringe Earrings. Statement Earrings. 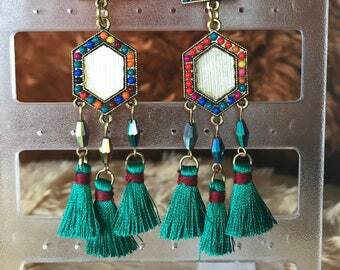 Tassel Earrings. Boho. Gift For Her.